Named after the Mughal emperor Aurangzeb, Aurangabad is an ideal gateway site from Pune to the famous World Heritage Sites - Ajanta and Ellora Caves. Loc ated on the bank of the Kham river, Aurangabad city is the district headquarters that offer tourist all kinds of modern comforts they ever expect. Some of the major attractions of the city include Bibi Ka Maqbara, Ajanta Caves, Aurangabad Caves, Quila-E-Ark and Sunehri Mahal. 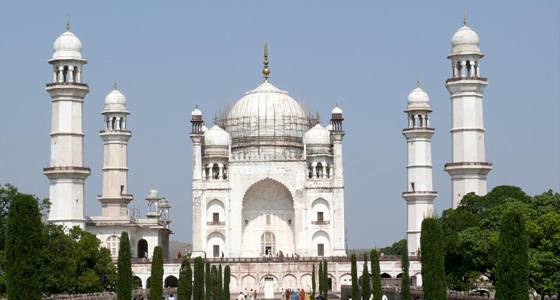 At Tour My India, we offer a lifetime Pune Aurangabad weekend tour that will take you close to the natural paradise where you can relax and spend some quality time. Our 2 nights and 3 days to Aurangabad will take you to the main attractions of the city where you can witness some of the real wonders of the world. We will pick you up in the morning from your desired location and drive straight to Aurangabad. On arrival, check-in at the hotel. Later, we will visit Ellora and Ajanta Caves, Aurangabad Cave and enjoy an overnight stay at the hotel. Ellora Cave: Recorded in the list of world-heritage site, Ellora cave is situated around 30 km away from Aurangabad. 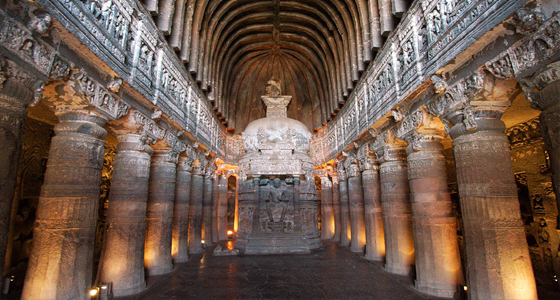 The Kailash Temple of the Ellora caves is the major attraction among the tourists and work of art of the architect. The temple is one of the largest and massive sculptures of the world. Aurangabad Cave: Excavated from the soft rock during the 6th and 7th century, the caves are divided into two separate locations - Western Group Caves having caves 1-5 and Eastern Group Caves having caves 6-10, located 1 km from apart. The image and designing is moulded by Tantric Hinduism. After breakfast we will visit Bibi Ka Maqbara, Quila-E-Ark and Sunehari Mahal. In the evening drive back to the hotel for an overnight stay. Bibi Ka Maqbara: Built in 1679 AD by Aurangzeb's son, the monument Bibi Ka Maqbara was built it in the memory of his mother Rabia. It was designed by Ata Ullah, who initially designed the Taj Mahal. Quila-E-Ark: Build in 1692 on the order of Aurangeb, Quila-E-Ark palace is also known as the Killa Arak. The ruins of this palace are extended from Delhi to Mecca gate. The Jumma Masjid and Dabar hall are the only leftovers that are of interest to the tourists. Sunehari Mahal: Located in Paharsingpura, Sunehari Mahal was constructed by a Bandalkand chief who came with Auranzeb in the Dakhan. 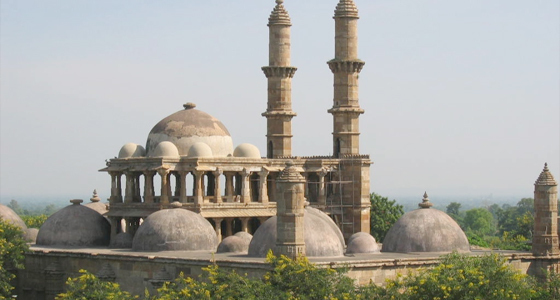 The structure is made of stone and lime and is counted among the marvel of Aurangabad. After breakfast, check-out from the hotel and drive back to Pune. On arrival at Pune, we will drop you at your place.